The results of the Baccalauréat 2016 have now been released in France and in London. This year, 99.4% of the Lycée Charles de Gaulle’s students passed their baccalauréat, after the second-stage orals, which is marginally better than 2015. 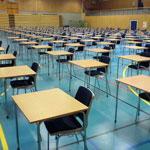 Only two pupils from the Lycée français failed the exam. As many as 42.4% of people sitting the exam received a marked “very good”, which is slightly less than last year, when 44.4% of pupils received it. The pupils who received this “very good” distinction were, as usual, invited to the Résidence de France by the Ambassador Sylvie Bermann, an event sponsored by CIC Banque Transatlantique. The French national results were released on 5 July. Almost 80% of French students sitting the Baccalauréat passed the exam, which represents 8 out of 10 pupils. This is an improvement of 0.8 percentage points compared to 2015. Even though there were complaints about the test, the pass rate is better in France and in London than last year. Within the Lycée français, we understand that some students had their mark increased in mathematics, following a petition. It it beleived that some parts of the test were not included in their programme and students were therefore not able to deal with the topic.